HBO announced today that their new comedy, 'BARRY', starring SNL alumn Bill Hader will premier March 25, 2018. 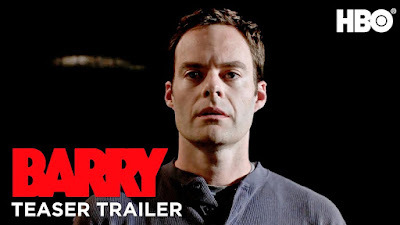 Accoring to HBO, 'BARRY' is a dark comedy starring Bill Hader as a depressed, low-rent hitman from the Midwest. Lonely and dissatisfied in his life, he reluctantly travels to Los Angeles to execute a hit on an aspiring actor. Barry follows his “mark” into an acting class and ends up finding an accepting community in a group of eager hopefuls within the LA theater scene. He wants to start a new life as an actor, but his criminal past won’t let him walk away – can he find a way to balance both worlds? The eight-episode series also stars Stephen Root, Sarah Goldberg, Glenn Fleshler, Anthony Carrigan and Henry Winkler. The series was created, executive produced and written by Alec Berg and Bill Hader. We can't wait for 'BARRY' on March 25th. Will you be watching?